This is post number 700 for me. How is that even possible?? I inked up my Bold Blooms by Essentials by Ellen (Julie Ebersole) over the weekend. Just in love with these images! Supplies: – Stamps – Essentials by Ellen, Papertrey Ink, paper – Papertrey Ink White, Stampin’ Up! Marina Mist, inks – Stampin’ Up! Bashful Blue (retired), Certainly Celery (retired), Marina Mist, Pear Pizzazz, VersaFine Smoky Gray, die – Taylored Expressions, embossing powder – Filigree Fine Art Powder clear, silver cord – PaperMart. 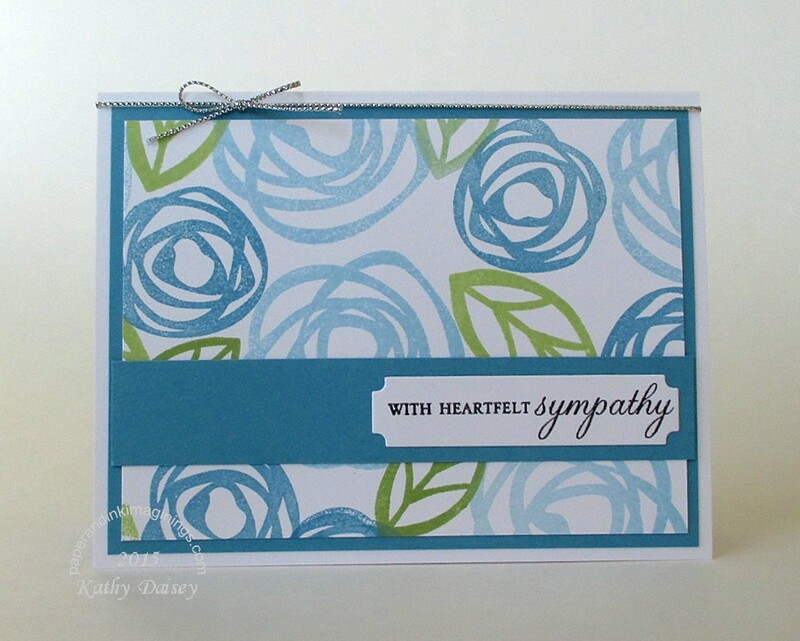 Categories: card, sympathy | Tags: card, Essentials by Ellen, Papertrey Ink, Stampin' Up!, Taylored Expressions | Permalink.